The Asian Institute of Management (AIM) is an international graduate school that aims to make a difference in sustaining the growth of Asian societies by developing professional, entrepreneurial, and socially responsible managers. 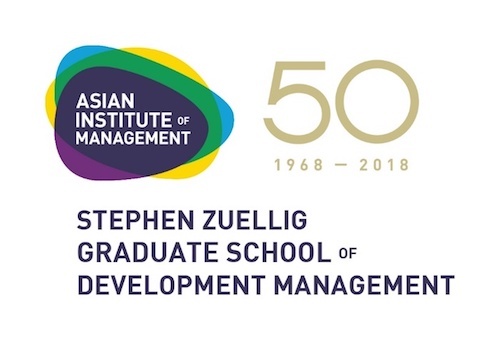 The Stephen Zuellig Graduate School of Development Management (ZSDM) is AIM’s response to the challenge of sustaining Asian development. By working with the Sustainable Developments Goals agenda, the school creates principled development leaders and managers who are well-equipped to achieve sustainable success. ZSDM engages emerging economies to build a team of civil leaders and business managers who are equipped to be problem solvers, change agents, and effective collaborators. Asia is a region of dramatic contrasts, blending eastern tradition with rapid westernization. Competing ideologies exist amidst new synergies. In this region of great wealth and dire poverty, our role is to empower entrepreneurs, business, and development leaders to initiate sustainable social, political, technological, and economic development. To achieve this, the Institute is categorically Asian, with a strong concentration on Southeast Asia and the ASEAN economic community. Our faculty, students, teaching materials, and research are predominantly Asian. Our programs are designed for Asian needs, our approach attuned to Asian management and responsive to peculiar Asian issues, while enhanced by a global perspective. Students come to AIM because of the Institute’s 40-plus years of experience in imparting and enhancing knowledge and skills to develop sensitivity to the diverse cultures and belief systems, business structures, governance, and regulatory environments in the region. We have established ourselves as the source of premier human resource development for the private and public sectors in emerging markets, especially Asia. Our international Board of Governors and Board of Trustees are composed of prominent business leaders and academics who share a deep commitment to the development of Asia and its people. Our student body is multinational, and primarily Asian. Our alumni can be found at the highest levels of responsibility in private, public, and non-profit sectors throughout the Asia-Pacific and in other parts of the world. Our curricula, courses, and teaching materials have been developed for the conditions and needs of both private and public Asian enterprises and are offered not only in the Philippines but in other Asian countries as well. Our academically and professionally qualified faculty have a broad regional outlook and wide experience in and knowledge of Asian management and practice. Our approach is practitioner-oriented, and our relationships with organizations all over the region are fundamental to the development and enhancement of our programs and activities. We create innovative management programs and have established relationships with key academic institutions and development organizations all over the world. Our research centers form a nexus where the private sector, government, and civil society connect, converge, and synergize. We draw support from the region in terms of financial contributions and participation by the management and business community in AIM’s teaching and research activities. Our programs are designed for practical application in the real world. To advance this objective, we use the case method as a primary mode of teaching and learning. Under this method, which was adapted from the Harvard Business School’s own system, students analyze actual business scenarios to hone their analytical, decision-making, and communication skills. The method also encourages lively discussions between classmates, resulting in a robust and dynamic learning environment. To promote collaborative learning and leadership, as well as foster the school’s multicultural ethos amongst students, we assign each one to a "learning team" or “can group.” These teams give students a diverse learning environment, and provides each one the opportunity to experience and benefit from multi-faceted perspectives.